For ages we’ve had pets, particularly dogs, do their business in our yards and we’ve learned to live with it. Let’s not forget about all the bald spots in your lawn because one day your dog just decided to be too aggressive in its play. Cleaning up after your dog also seemed to be a chore because the feces would get everywhere and it would be nearly impossible to remove it completely, not to mention, the odor left behind. But then times changed with the advent of a new solution to the yard problems that all dog owners seemed to share. The introduction of the artificial turf was well received by home owners and doggy day care owners with a sigh of relief. For some time, it seemed like all their problems had been solved. The artificial turf made cleaning feces and disinfecting urine easier. Being more resistant than natural grass meant that it couldn’t be torn out as easily by your dog. This was in addition to the expected advantages of not having to take care of your lawn and having a green lawn year round. 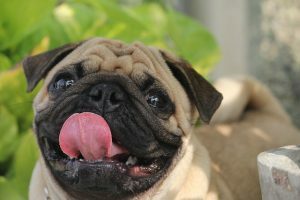 But then the news articles started to pop up claiming that you might actually be doing harm to your pets by trying to cut down on your losses. The synthetic turf seemed to come with a voice of its own. These ‘fake grass beds’ showed high levels of lead. This would prove to be dangerous as increased exposure to lead is not just harmful to dogs but also to children who play on them. Complications of lead toxicity could include behavioral impairment, peripheral neuropathy, and even certain developmental disorders. Owners of the artificial turf and those who had been planning on getting one were right in questioning the safety of using such an installment in their homes. But the good news is that the artificial turf of today shows almost no traceable levels of lead, thus making it a safer option than its predecessor. The better material being used for the manufacture meant that the new artificial turf would prove to be visually appealing and also feel better to touch. However, choosing the right kind of artificial turf is highly important. The kind best suited for you varies according to your needs and where you plan on installing it. Constituent material of the turfYou would need to choose a material that has a low affinity towards moisture. Poly based turfs tend to be less hydrophilic and hence drain easily when compared with turfs made of nylon. InfillUsing regular sand or soil to infill the turf is a bad option. 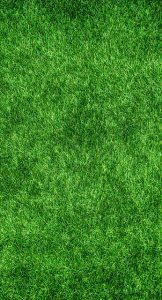 You tend to lose the advantages that an artificial turf promises over regular turf. Silica sand is recommended as it retains lesser odor when compared with the other options. Pellets that are pre-deodorized are also available. These would ensure that odor is at a bare minimum while exuding a pleasant smell. So yes, artificial turfs are safe for your dogs. But only if you do the right kind of research and due diligence before purchasing one. Stay away from old artificial turfs that had been manufactured a long time ago. 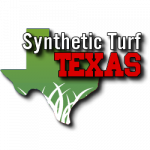 Stick with a reputable company like our friends at Synthetic Turf Texas that is known for its ethical practices and you’ll be good to go. Additionally, you could get a sample from the company and have the lead levels of the sample tested just to be sure. Be sure to get in touch with a local landscaper before making a choice as he will be able to make a better choice for you depending on your requirements, usage, and location. We hope you have enjoyed this article, please reach out to us with any questions or comments.